This walk-in ACE location is situated at the intersection of Atlantic Ave and Elmwood Ave. Due to the shops nearby, there should be plenty of free parking for customers at this walk-in location. This ACE location is right next to the Atlantic/Elmwood stop of the Lynwood Trolley; lines #260 and #612 will drop you off right outside. Elmer’s Lawnmower & Saw Shop, CompuNet, Casillas Boxing Gym, Mariscos El Moreno, and El Rey Supermarket are all within walking distance of this ACE location. People of Lynwood Should consider Auto Title Loans Powered by LoanMart! For whatever reason that Lynwood residents have for looking at options on affordable quick funding, a title loan powered by LoanMart may be the answer. At ACE Cash Express, residents could speak with a rep and get that option for quick and affordable funding! Lynwood residents may even be eligible to borrow up to $30,0001 in as little as one business day3, depending on various factors, including the equity value of their qualifying vehicle and their ability to make regular monthly payments on time. An auto title loan powered by LoanMart for Lynwood residents may be the ideal solution for those who need money right away in an affordable manner3. Applying is free and there’s no obligation, even if a Lynwood resident qualifies. 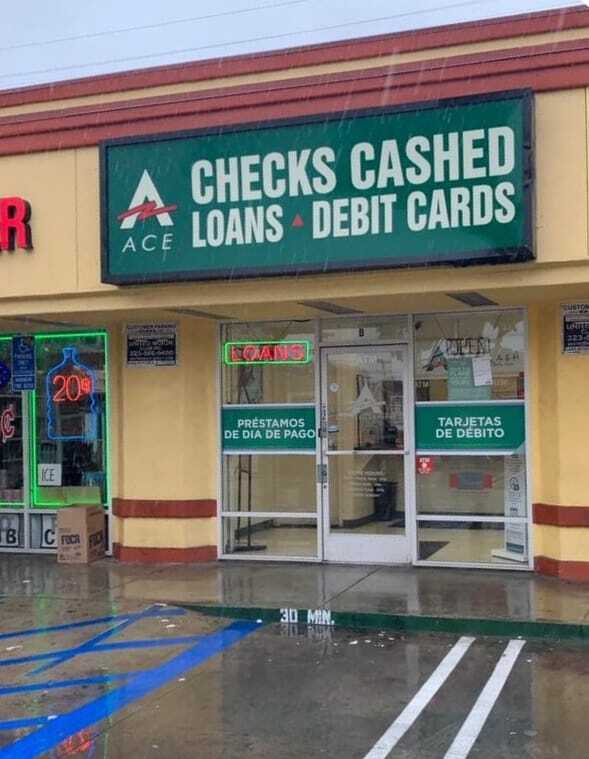 Once approved, a skilled representative will speak with them about how to obtain a title loan and get their funding, which comes with the courtesy of a title loan powered by LoanMart in Lynwood at the ACE Cash Express location!